In 1965 war, Indian Army had captured the strategic Haji Pir Pass. During the Tashkent talks between Indian and Pakistan, held through the good offices of Soviet Union, India agreed to return Haji Pir Pass, Pt 13620 which dominated Kargil town and many other tactically important areas. To add mystery to the whole process, Prime Minister Shastri died on 10th January, 1966 after signing the Tashkent Declaration with President Ayub Khan of Pakistan. He was denounced by all and sundry for caving in to the Russian pressure and made to return Haji Pir Pass to Pakistan, resulted in two grave disadvantages to us: One- had the pass been held by us, the distance from Jammu to Srinagar through Poonch and Uri would have been reduced by over 200 Kms. Two – later on Pak commenced its infiltration into J & K in 1965, through the Uri – Poonch Bulge which continues even today. They why did we commit this error of judgement? The Defence Minister Manohar Parrikar has stressed the need to include the stories of gallantry and sacrifices of our brave soldiers in 1965 Indo-Pak War in the school curriculum. He said, this is essential so as to instil the spirit of patriotism and values in the minds of the future generations. Manohar Parrikar was addressing the tri-services seminar on the Golden Jubilee Commemoration of 1965 Indo-Pak War here today. 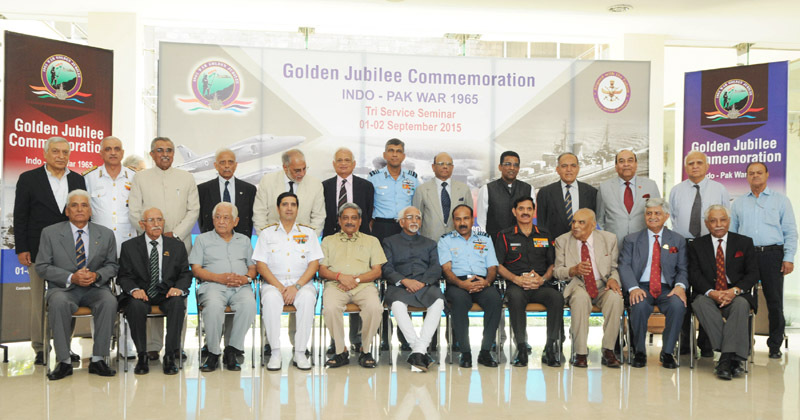 The two-day seminar was inaugurated by the Vice President Hamid Ansari in the midst of several retired Service Chiefs, War Veterans and Senior Officers from the three Services and Ministry of Defence. The Defence Minister in his speech said, in this War, despite limitations the Indian Armed Forces displayed their spirited professional approach and gained considerable praise and respect of all the countrymen. Think Over .... , Think-Tanks! The number of ‘think-tanks’ dedicated to the ‘thinking’ over ‘defence and strategy’ have risen in India. 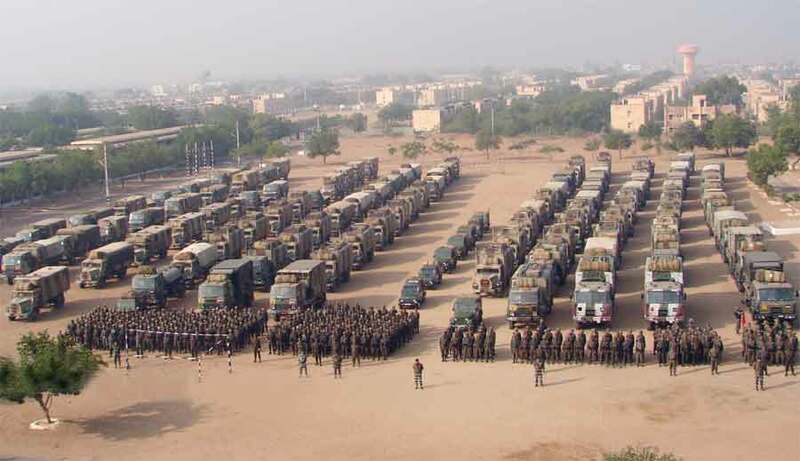 With nearly 2.5 lakh crores being spent on a defence establishment consisting of over 13 lakh high caliber military and civilian personnel and lakhs of crores of assets dedicated to national defence, that is an encouraging, long overdue, development. It could permit the nation to reap the benefits of its investments on preserving its sovereignty and security. …it is rare to find dissertations or even essays produced by the think-tanks which propound path-breaking military ideas in tackling the plethora of serious problems that beset the Indian military system. When the twin towers were hit on September 11, there was panic in Pakistan’s Hunza Valley. Javed Ali was sitting in the lobby of his hotel, the Hilltop, when the news came in. There were shrieks and wails all around him as people watched the attacks unfold on TV. Tourists called their friends and family back home, wanting to rush out of Pakistan, and frantic calls were made to embassies. Everyone left as soon as they could. 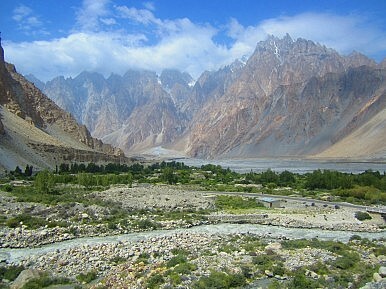 For years afterwards, Hunza saw few tourists. Restaurant signs in Japanese and Korean have faded, but they haven’t been removed; they offer fond memories of happier times. Now, more than 14 years later, Hunza is finally experiencing something of a tourism renaissance. In the valley’s capital Karimabad, tourists have scrambled for space this summer. Visitors slept on pavements and tents were pitched on hotel roofs. Most of these tourists were Pakistani. “Earlier, there would only be foreign tourists but after 9/11, they stopped coming. Now Pakistanis have started coming in,” one local told The Diplomat. It’s almost as if the rest of Pakistan has finally discovered this semi-autonomous region, which borders the province of Khyber-Pakhtunkhwa, Pakistan administered Kashmir to the southwest, Wakhan Corridor to Afghanistan to the northwest, China to the north, and Indian Kashmir to the southwest. Share this on your social network: FacebookTwitterGoogle+ Comments (0) Mail New Delhi, Sept 1: The Pakistan Cyber Army which has launched many attacks on important Indian websites including the CBI's portal has emerged in a new form today. Earlier known as the Pakistan Cyber Army it calls itself the Paksitan Cyber Mujahideen today. The name change was on expected lines as it gives a more local flavour to the organization. After the Chinese Cyber Army, the Pakistan's Cyber Army or the Cyber Mujahideen is considered to be the most dangerous. Many names one game: The change in name was on expected lines. The Pakistan Cyber Army sounds too Anglicized for the liking of the local hardliners in Pakistan. Hence the name has been changed to the Paksitan Cyber Mujahideen. The cyber army from Pakistan has also operated under the name of H4tr ck in the past. Whatever the name may be the game continues to remain the same. While on one end the violations along the border escalates as each day passes, the cyber army too has shifted to overdrive today. Recently the PCA or the PCM attacked a few financial institutions in India. This army has been extremely notorious and has in the past attacked the sites of the BSNL and also the CBI. In the year 2013 alone they attacked 112 sites in India. Ending U.S. reimbursements to Pakistan's military is not as simple as it sounds. The way Washington handles this delicate issue could have a big impact on Pakistan's behavior as well as on militant groups with American blood on their hands. U.S. policymakers have learned a lot of hard lessons since the invasion of Afghanistan months after 9/11. One of them is that no realistic inducements or threats of coercion are likely to change the Pakistan military’s strategic calculus regarding support for militant groups like the Haqqani network. The most lethal arm of the Taliban insurgency and a critical ally for the Pakistan military, the Haqqanis became the bête noire for the United States in Afghanistan. Most U.S. forces have withdrawn from Afghanistan, but the group nevertheless was a major subject of discussion over the weekend in Islamabad, where U.S. national security advisor Susan Rice met with Pakistani civilian and military leaders. 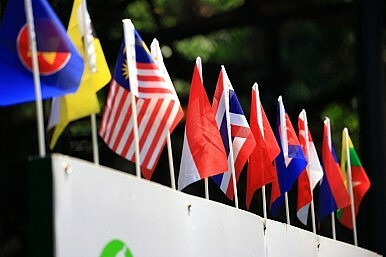 This, I believe, has long been and continues to be the aspiration of the peoples of ASEAN. Yet, to achieve such a Community requires a reevaluation of ASEAN’s role and the subsequent changes deemed necessary. 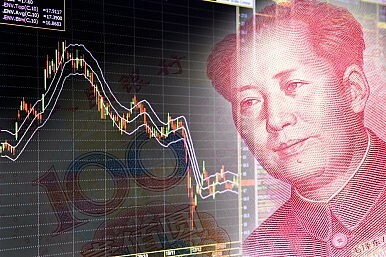 Should Japan Fear China's Stock Market Crash? Drawing conclusions from the stock market’s ups and downs can lead to overreactions when things are going well. But when they start to go badly, as they have recently, then everything gets an exclamation point. Even with the drama of China’s economy in the past few weeks, there are plenty of reasons to follow familiar advice and avoid panicking. However, there are also reasons to think of the more troubling scenarios that could result from China’s slowdown. It’s not hard to create such a scenario: Investors turn to the yen in the search of safer holdings, leading the yen to rise and offset the devalued yen via the Central Bank’s quantitative easing and postponing the goal of two percent inflation even further. Firms remain reluctant to put profits into the Japanese economy, compounded by the stronger yen making Japanese exports less competitive than they were before. Wages stagnate and already-frugal household budgets adjust to the recent (and, for now, forthcoming) consumption tax hike. Japanese voters, frustrated with the stalled economy and with the cabinet’s focus on security legislation relative to economic concerns, let their displeasure show in approval polls, which eventually fall far enough for the government to wonder whether it’s time for a change at the top. The opposition, meanwhile, begins to wonder if it’s time to strike. Kazakh President Nursultan Nazarbayev is in China until September 3, meeting with Chinese leaders, settling deals and joining the more than 30 heads of state attending China’s military parade commemorating the end of World War II in Asia. 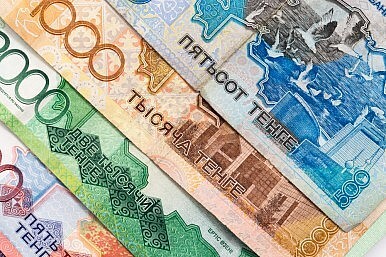 On August 31, Nazarbayev met with his Chinese counterpart, Xi Jinping, and the leaders of a handful of important Chinese corporations–settling a batch of deals worth $23 billion. The trip is also serving as inspiration for the Central Asian leader, as Kazinform reports, with regard to anti-corruption initiatives. Despite China’s recent economic wobbles, its overall economic progress is undeniable and certainly serves as inspiration for Astana. The Chinese government has spent the last three years in a deliberate fight against corruption–arresting big-name “tigers” and squashing countless “flies.” The debate continues to rage among China watchers about the intentions and ultimate impact of the country’s anti-corruption campaign, but the Kazakh president, for one, sees China as an example to be emulated. Would America Lose the Great Naval War of 2020 to China? Back in the Winter 2010 edition of Orbis, the always smart James Kraska, at the time an investigator at the Woods Hole Oceanographic Institution, presented his readers with a terrifying prospect: the possibility that China would be able sink a U.S. Aircraft Carrier—virtually at will. In professional publications, the possibility had been raised before. However, thanks to various mentions in more-mainstream media, the rise of China’s military might—and specifically advanced missile technology—would soon become a dominant topic of conversation in national-security circles around the globe. America now faces a very real threat to its ability to project power in the Asia-Pacific; and it’s a problem—considering how fast Beijing’s missile technology is progressing—that will likely only get worse as the years go by. There's a rule in economics called Goodhart's law: when a measure becomes a target, it ceases to be a useful measure. If a government chases a particular economic variable, then it becomes influenced by policy, and so loses its meaningfulness as an input. 'Information value' is lost in the interference. Because managing economies is hard and good information is scarce, that's a big problem. The last few tumultuous weeks of action in Chinese financial markets shows Beijing struggling with Goodhart's law. First, state institutions are actively supporting equities, reportedly on Chairman Xi’s personal order to push prices up. Second, after long controlling the exchange rate, policy-makers briefly let it go, only to rush back in days later to fix it again. These panicked interventions have cost Beijing dearly in both money and credibility and jeopardies its entire reform process. About a year ago, it became apparent that policymakers were aiming to boost the stock market, presumably to raise consumer confidence and hopefully some new equity along the way. It's understandable that leaders viewed share prices as a signal of their good stewardship. But by manipulating those prices—either through boosterish or direct intervention—they distorted the rationality of the market. Anyone tired of hearing about the agreement to restrict Iran's nuclear program is not going to get relief soon, despite the Congressional voting this month that is supposed to decide the matter. It now appears likely that even if the Republican-controlled Congress enacts a resolution of disapproval, any such resolution would not survive a presidential veto, which means the agreement itself will come into force. It also is possible that opponents will fail to get the 60 votes needed to get such a resolution through the Senate in the first place, in which case the outcome would be decided even earlier. If the Iranian nuclear issue were one that people with honestly expressed substantive differences had been addressing consistently in a sober and well-reasoned fashion, one might expect that those on the losing side of that outcome would accept the result and turn their attention to how they can participate effectively in vigorous oversight of the agreement's implementation. There are indeed substantial opportunities for Congress to exercise such oversight. But debate on this matter has had a deficit of sobriety and honesty. Some of the principal sources of opposition to the agreement have involved wanting the Iranian nuclear issue to fester indefinitely or for the Obama administration to fail in its efforts to do something about it. The confluence of the 70th anniversary of the end of the Pacific War with theupcoming Xi-Obama Summit provide the opportunity for musings on the state of the all-important China-Japan-U.S. triangular relationship and its pivotal role in the future of global security. A pattern in this triangle has been visible for some time. Tokyo hems and haws about objectionable Chinese deployments or statements. Washington then sends high-level envoys and dutifully begins planning ever larger joint exercises to yet again reinforce the strength of the Japan-U.S. Alliance. Beijing views these measures as an anti-Chinese conspiracy and proceeds with military programs and new initiatives to cast the Alliance in doubt--setting this vitriolic spiral off all over again. Occasionally, this tedious, and yet perilous geopolitical brew receives an injection of spicy kimchi from the ever volatile Korean Peninsula, but the general triangular dynamic has been in place for well over a decade. The killings of Ali and Sa'ed Dawabshe are not just a human tragedy with a potential to spark a broader clash. They are also a manifestation of a decades-old internal conflict over the nature of Israel. The horrific killing of 18-month-old Ali Dawabshe and his father Sa’ed in an arson attack on the last day of a hot Middle Eastern July brought fear and loathing in the West Bank and Israel to new heights. Not just between Arabs and Jews, but also between two competing political cultures, each offering a different vision for the Jewish state. Though the perpetrators have not yet been caught, the Israeli Internal Security Agency (ISA) has suggested that the attack represents a significant change in the pattern of settler violence against Palestinians. At first glance, the ISA seems to be correct. As we have recorded in our original dataset on the phenomenon, the July 31 attack on two houses in the Palestinian village of Duma was the first “price-tag” attack that killed anyone since the trend began in 2008. The name “price-tag” reflects its perpetrators’ desire to extract a “price” for actions taken by Palestinians or the Israeli state that they dislike. IS THE ISLAMIC STATE WINNING OR LOSING? Accusations were recently levied at CENTCOM for cooking the intelligence on its campaign against the Islamic State. What do we know? One year after it started, is the anti-Islamic State campaign any closer to victory? A little over a year ago, thousands of Yazidi refugees huddled at the top of Mount Sinjar in northern Iraq. They faced extermination at the hands of the Islamic State, or ISIL, and their plight was grave enough to trigger the United States to launch a humanitarian rescue mission to deliver food and protect the refugees. The United States military started dropping food to the refugees on August 7 and on August 8 started dropping bombs on Islamic State fighters. August 2014 was a watershed month in the battle against ISIL. It represented the moment that ISIL burst into American national consciousness. It was also the month that ISIL first beheaded American captives, and the month that the group reached its greatest territorial expansion as its forces invaded parts of Iraqi Kurdistan and appeared to threaten Baghdad. Summary: What lies in the future of the Middle East once the specter of an nuclear-armed Iran disappears (said tobe imminent every year since 1984)? Not peace, unfortunately. Stratfor describes what to expect in the next chapter of this misgoverned region. Tehran’s competitors in the region will not sit idly by without attempting to curb the expansion of Iranian influence. This will not manifest in all-out warfare between the Middle East’s most significant powers; Iran is not the only country well versed in the use of proxies. But the conflicts that are already raging in the region will continue unabated and likely only worsen. 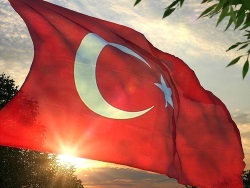 These clashes will occur on multiple fault lines: Sunni versus Shiite, for example, plus ethnic conflicts among Turks, Iranians, Arabs, Kurds, and other groups. The Iranian nuclear deal in the short term thus means more conflict, not less. Many, if not most, Korea experts long ago lost hope that the North was prepared to dismantle its nuclear program. In word and action, the Democratic People’s Republic of Korea (DPRK) had demonstrated its commitment to being a nuclear state. While none of its neighbors desires that outcome, the North has ample reason to be well armed. Happenstance has brought me today to a house on the Austria-Germany border, just south of Salzburg. That puts me about 3 miles from the German town of Berchtesgaden, on the German side of the border. Adolf Hitler's home, the Berghof, was just outside the town, on a mountain in the Bavarian Alps. To the extent that Hitler had a home, this was it, and it was the place where Hitler met with many notables, particularly before the war began. As it happens, today is the 76th anniversary of the start of World War II in Europe. It is always a strange feeling to be here. There is a sense of history present here, but it is mostly a sense of the mind, since Berchtesgaden is an attractive but ordinary place. It always feels as if towns like this should have a patina of extraordinariness sticking to everything. But that isn't how history works. There is a patina of mind, but not of place. On Sept. 1 of any year since 1939, and at a place like this, there is a sense of urgency to extract the real meaning of the man who lived in a house on the mountain I am looking at. EVERY MONTH, it seems, a mammoth cyberattack sponsored by a nation-state comes to light. In recent years, more than 20 countries have announced their intent to launch or beef up their offensive cyber capabilities. The result is a burgeoning digital arms race that presents a major threat to the security of our data. Here’s a look at the countries that have garnered the most headlines in the past few years and a comparison of how their cyber-offensive capabilities stack up. Our assessment is, of course, based only on known attacks. And attribution is often tricky. It’s difficult, forensically, to distinguish nation-state attacks from those of independent groups—even more so when China and Russia use state hackers and also pay freelancers when they gain access to useful systems. Amid the intrigue and mystery, one thing is clear—the online world is becoming an increasingly dangerous place. 2001–2015: Target: the world. Seriously, the NSA’s reach appears to be limitless, according to documents leaked by Edward Snowden, which describe a vast hacking operation aimed at subverting the Internet’s infrastructure. OUTCOME: Global paranoia and a reduction in security for all. The NSA-AT&T FAIRVIEW Global Fiber-Optic Cable Intercept Program Based in the U.S. Among them are some powerpoint presentations that contain the slides which had been shown on Brazilian televion two years ago. They were first discussed on this weblog in January 2014. The Taliban Summer Offensive has largely been a failure. The Taliban lost far more men (dead, captured, deserted) than the security forces and failed to gain lasting control of any territory. Moreover the recent announcement that Taliban founder and leader Mullah Omar had died in a Pakistani hospital back in 2013 caused long-standing disagreements among Taliban leaders to turn violent. In the last month there have been several known gun battles between rival Taliban factions. There may have been some assassinations as well because this is a common weapon in such internal disputes. It is believed that one reason for keeping Omar’s death a secret was to keep the peace within the Taliban. The post-revelation splits have caused some factions to switch allegiance to ISIL (Islamic State in Iraq and the Levant) and become even more violent and reckless. This is particularly true of some Taliban and al Qaeda groups who feel restrained by defeat or growing calls for peace from many long-time Islamic terrorist leaders. Going ISIL means more suicidal violence and less regard for killing Moslem women and children (traditionally something Afghan warriors avoided). If Islamic terrorism is a disease ISIL appears to be the terminal phase. Afghanistan is particularly hostile to this sort of thing and one side effect of that is more tips from rural Afghans about where the newly declared ISIL members are. This in turn led to more effective UAV surveillance and more ISIL leaders being found and killed by UAV missile attacks. As the Internet evolves, so do the threats lurking within it. But this ongoing evolution raises a larger question: Who is really responsible for bolstering private and public defenses? Is the Wild West approach to the Web going to cut it in the long run, or will someone have to take to take the lead when it comes to a national cybersecurity game plan? As it stands, it could be argued that cybersecurity in the United States boils down to an “every man for himself” approach. For the most part, companies operate independently of one another and the government; and the same is true in reverse. But has this approach been effective? Recent large-scale data breaches of the Office of Personnel Management and the IRS have prompted renewed consideration of the topic. Alan Webber is the lead researcher behind an International Data Corp. (IDC) 2015 report, Business Strategy: Defining the U.S. Government Role in Cybersecurity, which tackles whether the government needs to drive modernization into the next generation of national cybersecurity. In my new book, "The Future of Land Warfare" (Brookings Institution Press, 2015), I attempt to debunk the new conventional wisdom (which began with the Obama administration but also permeates thinking beyond): Messy ground operations can be relegated to the dustbin of history. That is a paraphrase and dramatization, to be sure—but only a modest one, since the administration’s 2012 and 2014 defense plans both state that the U.S. Army will no longer size its main combat forces with large-scale counterinsurgency and stabilization missions in mind. This is, I believe, a major conceptual mistake, even if not yet one that has decimated the Army. But it will cause increasing harm with time if we buy into the idea. The active-duty Army is already below its Clinton-era size and only slightly more than half its Reagan-era size. Reductions to the Army Reserve and Army National Guard have been almost as steep. None need grow at this juncture, but the cuts should stop. 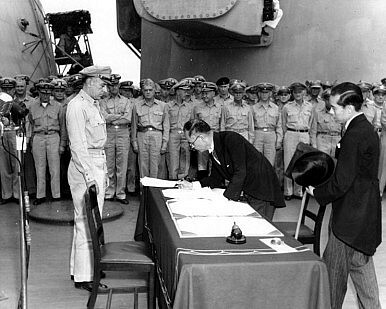 The Second World War formally ended on this day seventy years ago when Imperial Japan’s foreign minister, Mamoru Shigemitsu, signed the Japanese Instrument of Surrender aboard the USS Missouri, a U.S. Iowa-class battleship which was at the time in Tokyo bay. The events leading up to that fateful moment had seen Imperial Japan’s position in the Pacific Theater of the war deteriorate considerably. Japan’s loss at Iwo Jima in March 1945, compounded by the firebombing of Tokyo, led into a bloody summer skirmish at Okinawa, where Imperial Japan also suffered defeat at the hands of the United States. The war reached a crescendo in early August 1945, when Hiroshima and Nagasaki were struck with atomic bombs. On August 15, Japanese Emperor Hirohito accepts the terms that the allies had outlined for Japan’s surrender in the Potsdam Declaration, and finally, on September 2, Japan surrendered formally. F-35 vs. A-10: Which Plane Should Defend America's Soldiers? Politico Pro and Bloomberg have been reporting of late that the Pentagon’s Office of Test & Evaluation (OT&E) is planning a series of head-to-head close air support tests between the A-10C and the F-35A. USAF Chief of Staff General Mark Welsh had previously called that “a silly exercise”; the Lightning II, he insisted, is a combat aircraft for the “entire battlespace,” not just close air support, or CAS, for short. POGO shortly thereafter took advantage of its Google search engine to play gotcha with his “conflicting statements” on the issue. Fairly, though, the general might have used an analogy from the 1920s. In a competitive gunnery exercise between a battleship and an aircraft carrier, the battleship will win. But that doesn’t tell us to buy the battleship—just not to wind up like HMS Glorious. Unless designed carefully, such tests may not tell us much at all. So, if we were going to design such a field experiment, build a model, or hold a wargame, what would we want to know? Recent news accounts announce with great fanfare that Japan’s Ministry of Defense is asking for a boost in spending, primarily to fortify the country’s outlying island chain in the East China Sea that is the focus of a bitter territorial dispute with China. The budgetary request confirms that Tokyo has no intention of compromising regarding the feud over those Senkaku/Diaoyu islands. But the fine print in the news stories also suggests that Japan isn’t very serious about creating a more robust military capability to enforce its territorial claims. The requested increase is a mere 2.2 percent, and it would bring Tokyo’s annual military outlays up to $42.38 billion. That is less than one-third of China’s official defense budget of $145 billion—which almost no one believes fully accounts for that country’s actual military spending. Both the Pentagon and independent estimates place the real figure at $180 billion or more. This underscores a dangerous disconnect between Tokyo’s increasingly strident geostrategicambitions and its military capabilities. Not only has Japan taken a hard line on the Senkaku/Diaoyu issue, the government of Prime Minister Shinzo Abe has moved to “reinterpret” article nine of the country’s pacifist-leaning constitution to permit Japanese involvement in collective defense efforts. The reinterpretation also broadens the definition of what constitutes a threat to Japan’s security. It would no longer be confined to an attack on Japanese territory. Who isn’t fascinated by the prospect of "game-changers"—unprecedented technological breakthroughs that provide military advantages that leave competitors scratching their heads over how to keep up? Game-changers can increase leverage, so pursuing them makes sense—but only if the game-changer supports the overall security strategy. Game-changers are not a substitute for fielding conventional and strategic capabilities. But game-changing ought to be part of U.S. military strategy. Game-changers in warfare are as inevitable as a Kardashian on a red carpet. Sooner or later one of them is going to show up. The cavalry of the Mongol Golden Horde caught the world by surprise. Englishman bowman spoiled the French day at Agincourt. Artillery toppled the great fortifications of Europe. Everybody dreaded the Dreadnought. Quick-firing field and machine guns changed the face of battle during World War I. Throughout history, new weapons and tactics have popped up, forcing all sides to rethink how they fight. Such disruption is part of war. Don't look back to 2014, 2010, or 1916 for cues on how big the U.S. Navy should be. Read why American navalists should focus on 2007. Debates about naval force structure are in the news again, as a number of Republican presidential candidates are calling for a larger fleet, just as Mitt Romney did in 2012. As in 2012, references to having a Navy that is as small as it has been since 1916 are greeted with healthy skepticism, as today’s ships are considerably more capable than those of a century ago. Such skepticism is then countered with the undeniable truth that a ship cannot be in two places at one time, and that our position of world leadership demands naval presence in more places to more effect than was the case in 1916. Both sides have good points. The gauntlet has been thrown down between the military’s long-standing close-air support platform, the much loved A-10 Warthog, and the Pentagon’s next-generation Joint Strike Fighter, the F-35. After months of debate over which aircraft is better suited to the role of close-air support, the Pentagon confirmed on Aug. 27 that it intends to put both aircraft to the test. A series of evaluations will be used to “reveal how well the F-35 performs and whether there are gaps or improvements in capabilities compared to the A-10,” said J. Michael Gilmore, the director of the Pentagon’s Operational Test and Evaluation Office, the Washington Post reports. Get the full story at The Washington Post. 'In the age of nuclear deterrence, this failure to deter Pakistan is the central lesson of 1965,' says Colonel Anil A Athale (retd). Continuing our series on the 1965 War, 50 years Later. The India-Pakistan war of 1965 is the least commented and remembered conflict of post-Independence India. This year, 2015, is the 50th year of that event and it is worthwhile recalling those events as the root cause of that conflict, the Kashmir dispute is still unresolved and there are many useful lessons that can be learnt by an in-depth assessment of that conflict. Pakistan for long time has been celebrating this as a 'defensive victory' and September 6 is observed as 'Defence of Pakistan' day. There are two reasons why this war was sidelined in India -- the prime minister at the time, Lal Bahadur Shastri was not from the ruling dynasty and any prominence to him would have dimmed the lustre from the ruling family's image. Before engaging military leaders on issues of policy and strategy, spending some time on the basics can pay terrific dividends for civilian academics. In a conversation a few years ago with one of us, a senior political scientist from a prominent Ivy League university asked for insights on how to offer defense policy advice on a contemporary Middle East security issue. It quickly became clear that this academic had no idea of the overall structure of the defense policy community, much less specific ideas about who to approach or how best to offer advice. Specifically, this individual wanted to approach the military leadership but did not know the difference between the service chiefs and the chairman of the Joint Chiefs of Staff, much less understand the unique roles of the Joint Staff, combatant commands, or Special Operations Command. Moreover, this person was uncertain what was actually under the purview of the military leadership when it came to selecting and implementing policy recommendations. As the conversation went on, it became clear that this expert lacked the most basic understanding of the defense policy world and especially of how the military fit into it. The academic’s opportunity to offer advice, unsurprisingly, never materialized.